I am a graduate of the Medical University in Warsaw, who completed more than 10 years of internship. My professional activities are focused on coordination in comprehensive treatment, conservative dentistry, endodontics and prosthodontics. 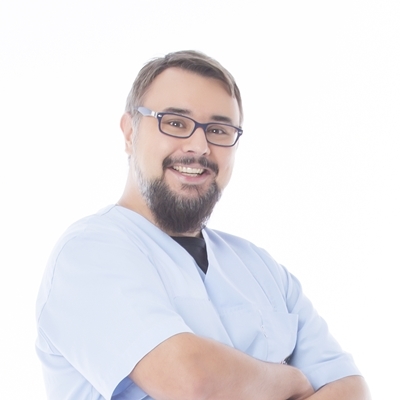 I have extensive experience in the treatment of adults with dental phobia, including laughing gas therapies, which I gained through participation in numerous courses and training sessions. My interests include motor vehicles and literature.